The Nationals came over to Washington from Montreal, Quebec, Canada to start the 2005 year. It took several last place finishes to stockpile draft picks, in order for this club to turn its fortunes around. Aside from offensive lineup signing key Free Agents Jayson Werth and Adam LaRoche in recent years, the club has been built within. Some of the players like Wilson Ramos, Denard Span, Asdrubal Cabrera and Jose Lobaton were acquired from other teams with Draft Picks the Nats had already selected. This team has been competitive since the beginning of the 2011 year, and made the franchise’s 1st playoff appearance in 2012, after a 31 Year absence. Much will always be made about the Stephen Strasburg decision, and the only way to alleviate those causes and concerns – is for the team to win the World Series Title. The ownership changed the culture of the team when he inked Werth to a 7 YR deal worth $126 MIL prior to the 2011 campaign. It shifted the 1 – 8 lineup with a new direction. While the 1st year wasn’t kind to the former Phillies player, he has been an above average OF since, posting a near .300 Batting Average – with a high OBP and nice SLG% that falls within his career numbers. As the first full month of the season reaches its final week, the Orioles need to get away from the .500 baseball they have been playing in order to make a push towards the 2014 postseason. Of course, the season is still very young, as there are about 140 games left to play. The O’s got an early taste of the competitive AL East Division, as six of their first seven series were against division rivals, including two series verse the defending World Series Champion Boston Red Sox. The Nationals failed to meet expectations as the Preseason favorites to lock down the World Series in 2013. Heck, they didn’t even qualify for the playoffs. Whether it was injury, or complacency, the talent of this team didn’t maximize their potential this year. However, the club did go 24 – 12 in their last 36 Games Played, and made a late charge at the 2nd Wild Card Spot. Most of the nucleus is coming back for the 2014 year. But a most underrated facet of an NL club sometimes is their bench. 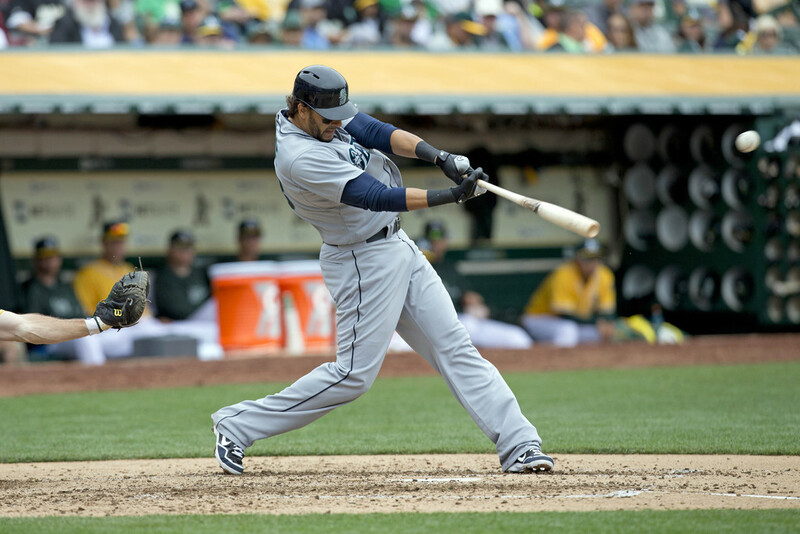 Washington hopes to have a better bunch of pine riders in 2014 – than they did in 2013. When the Nats built a bench on the cheap in 2012 it worked. Steve Lombardozzi, Roger Bernadina, Chad Tracy, and Tyler Moore all had outstanding seasons, and the four of them combined cost less than half of what the Nationals will be paying Nate McLouth in 2014, but when they tried to do the same thing in 2013 it was a disaster. The only back-up outfielder to have a higher than .700 OPS was Corey Brown and that was in 15 plate appearances. Hardly enough of a sample size to be trusted. Nate McLouth gives the Nationals bench something it severely lacked in 2013, a reliable veteran. McLouth’s numbers aren’t great. 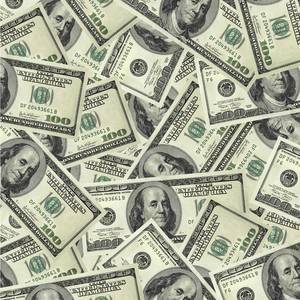 It will all be following the money for many of the Free Agents this winter. It all started when all 14 players that had Qualifying Offers politely declined them all over the weekend, and are all FA’s with Draft Compensation due back to their 2013 club. These are my personal predictions on where the top free agents will sign. This is the same kind of list of the top 50 free agents made by our friends at mlbtraderumors.com. Please keep in mind there will be trades this offseason so holes will be filled that way as well (I believe the Cardinals will trade for a SS). I am not going to estimate any dollar figures in this specific article but I do expect some overpayments this year. Mike Morse had his best year in 2011 with the Nationals, where he hit .303, with 31 HRs and 95 RBI during his 515 AB. The Orioles would love that kind of production to aid their DH core of hitters. 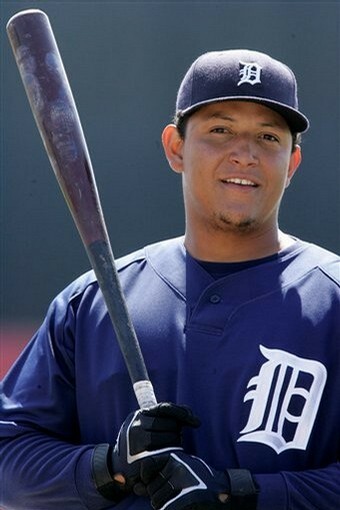 The club however, would simply settle for his Career 3 Slash Line of .284/.338/.816 in parts of 9 seasons and 1827 At-Bats. Morse makes $6.75 MIL this year, and will be a Free Agent after the campaign is finished. The Orioles picking up Mike Morse is a good move. The guy is familiar with Region, is a nice contrast to Chris Davis – and cost the club a minimal amount to bring over. I think the big 6 FT 5 players is just the kind of guy the Baltimore team has missed over the year. The Designated Hitters slot has been abysmal – and if Morse can to the back of his bubblegum card, this move will pan out. 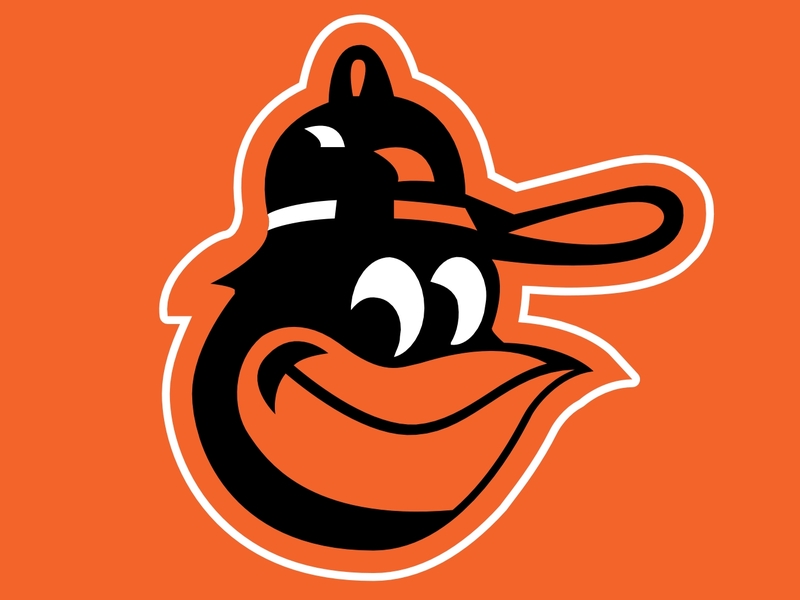 The team’s lineup will now feature Manny Machado 3B, , Nick Markakis RF, Chris Davis 1B, Adam Jones CF, Matt Wieters C, J.J. Hardy SS, Mike Morse DH, Nate McLouth LF and Brian Roberts 2B. Morse joins Scott Feldman, Francisco Rodriguez and Bud Norris as late season acquisitions. All of them have contributed to the franchise. All of a sudden having a 7 – 9, with a 25 – 30 HR powers in Morse, added with veteran Brian Roberts (if healthy) and Nate McLouth, could add a speed element when the team swings around back to the top of the lineup. It is good for depth and when consider the team is only 5 games out of the 2nd Wild Card Spot, this is plausible with 3o games left. Chris Tillman has asserted himself an up and coming #2 Pitcher on the team. I must say, him doing this 2 years in a row, has made a believer out of me now. The man is 24 – 7 over his last 31 decisions – and has a mid tier 3 ERA – competing in a donnybrook of a Division. Yesterday’s win over Boston was just another example of how much the 25 year old has bailed the club out of a losing streak. 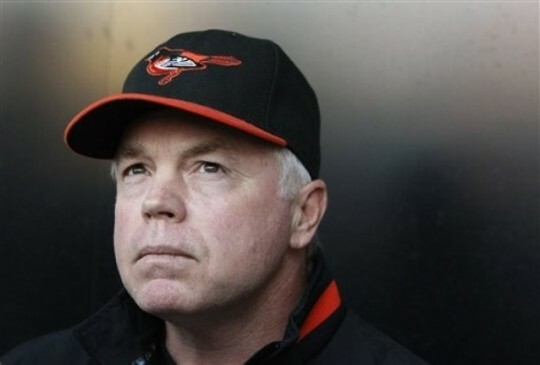 You know Buck Showalter will have his guys ‘game ready’ for the challenge. 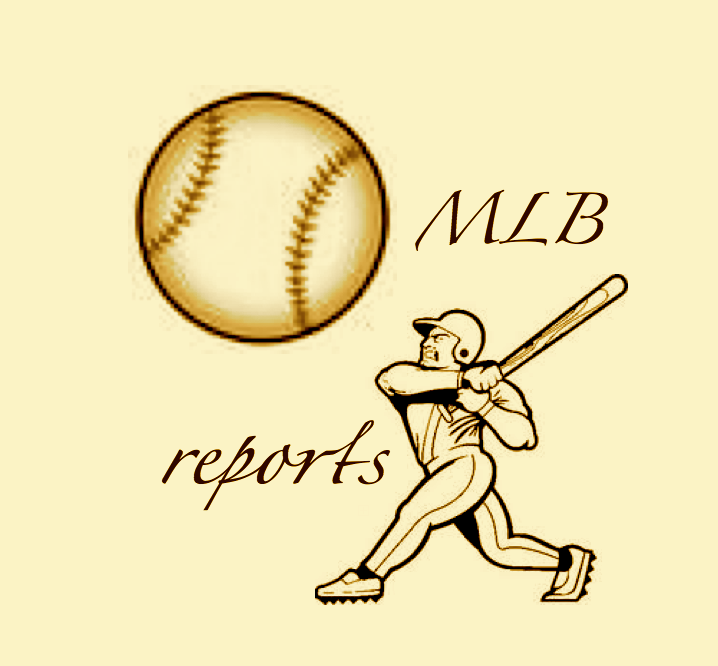 Chris Davis was the AL hitter of the month for the MLB Reports. The guy has 20 HRs and 20 2B on the season – after hitting 11/11 for both columns in the last 30 Days. 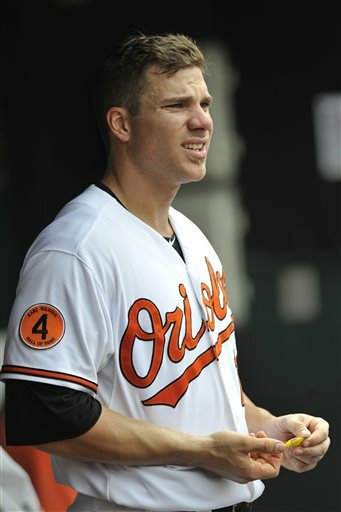 The Orioles slugger also hit for a 3 Slash Line of .385/.448/1.256. Davis also Walked 11 Times, drove in 22 RBI – and collected 40 Hits in just 24 Games Played. He is on pace for a 50 HR/50 Doubles Season. “Crush” is due for Arbitration after this year – and will garner a considerable payraise from the $3.3 MIL he will earn this season. The time has come for the June Power Rankings with Stats Edition. There will be one each for May, June, July, August, September – and then a special playoff edition Power Rankings will be done in October. 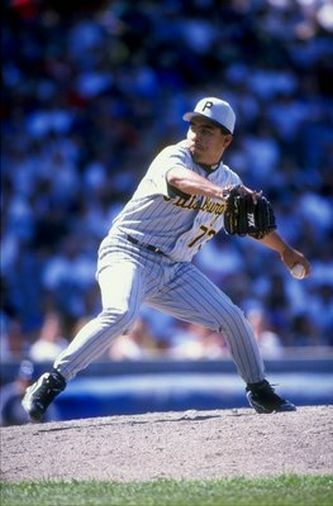 What 3 current Pirates players can be traced back to Ricardo Rincon? Read this article and you will find out how all of the players have arrived in a Bucs uniform – and we dissected the Pirates brass for each move. 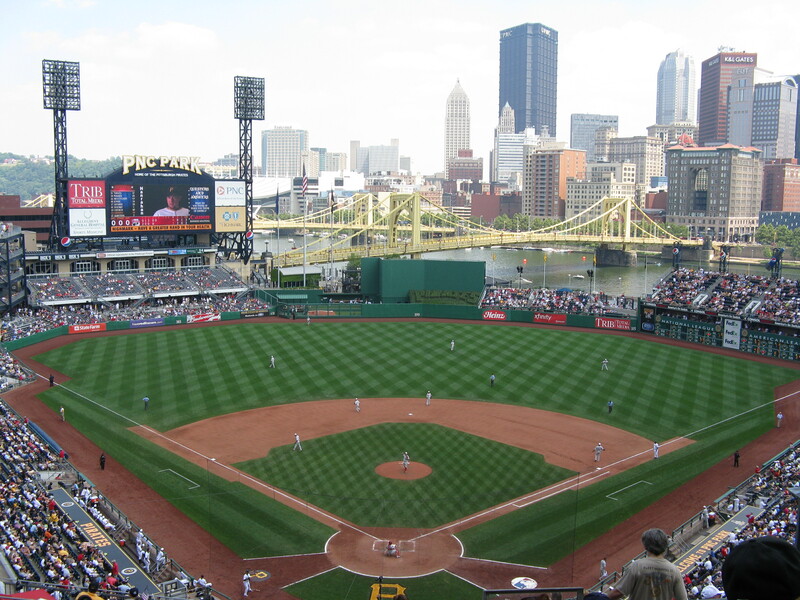 The Pirates are hoping to bring winning baseball for the beautiful PNC Park in 2013. The statistical improvements are easy to decipher in Clint Hurdle‘s first two years as manager of the Pittsburgh Pirates. 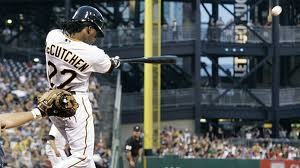 In 2011, the Bucs were 72-90, scored 610 Runs and gave up 712 Runs. Those were improvements of 15 victories, 23 Runs Scored and an impressive 154 less Runs Allowed. This past season, Pittsburgh improved in all three categories again – earning 79 victories with 651 Runs Scored and 674 Runs Allowed. If it seems like an excruciatingly long time since Barry Bonds, Bobby Bonilla, Andy Van Slyke and Doug Drabek were leading the Pirates to a winning season and a third consecutive NLCS, that’s because it has been – two decades to be exact. Bill Clinton was just starting his first term as President of the United States and something called Color Me Badd was popular on the radio. Questionable music aside, if the Pirates want to put an end to all that losing, another year of similar improvement will get them over the .500 hump. Here are three reasons why 2013 will be the year it happens for them and three reasons why the longest consecutive streak of losing seasons in professional sports will reach 21 years. The Orioles defied the odds with a 29 – 9 One run games record and a record streak of Extra Innings Wins that reached the teens. In a vaunted AL East – Vegas has only predicted them as about a 77 win team this year. They used 12 Starting Pitchers and none of them are clear – cut Aces. Might they call Dylan Bundy up in May? 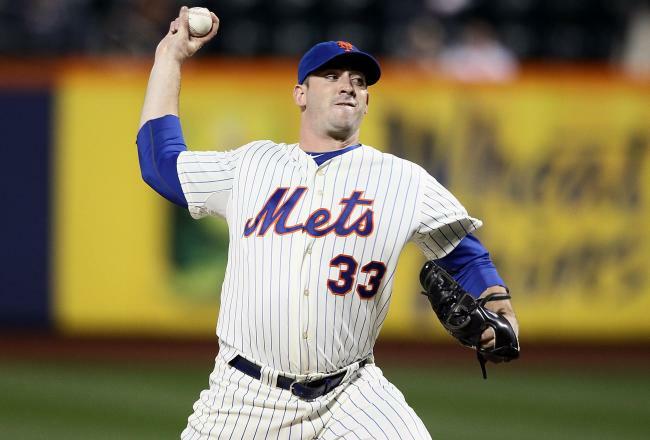 Will the management pull the trigger on a proven #1 Starting Pitcher to help them out? Will Brian Roberts be able to stay healthy? 2012 was a breakout year for the Baltimore Orioles and the start of something new. They finished the season with a 93-69 record, a record good enough to land themselves a spot in the Wild Card playoff game. This marked the first time since 1997 they were playing October baseball. 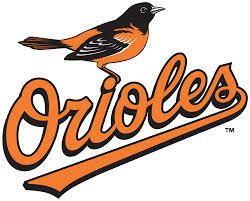 The Orioles took down the Rangers in that very game to advance to the ALDS against AL East foe, the New York Yankees. They gave the Yankees a run for their money sending the series to 5 games, only to lose a heart-breaker 3-1 finale of the matchup. All of this happening with the Orioles having the 18th largest payroll in the MLB. 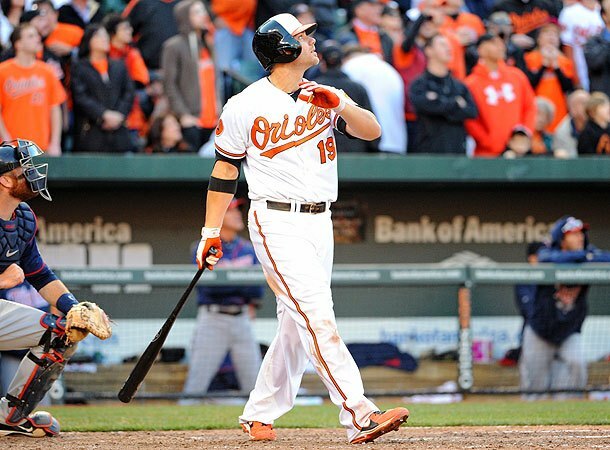 2012 was a breakout year for the Baltimore Orioles and the start of something new. They finished the season with a 93-69 record, a record good enough to land themselves a spot in the WildCard playoff game. This marked the first time since 1997 they were playing October baseball. 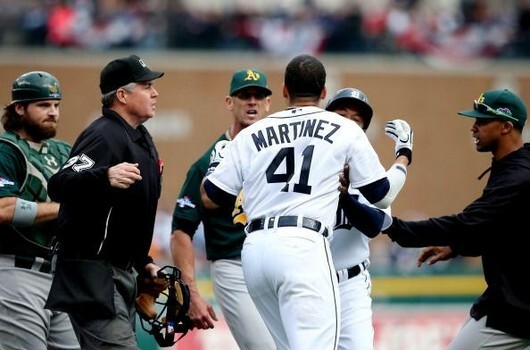 They took down the Rangers in that very game to advance to the ALDS against AL East foe, the New York Yankees. They gave the Yankees a run for their money sending the series to 5 games, only to lose a heart-breaker 3-1 finale of the matchup. All of this happening with the Orioles having the 18th largest payroll in the MLB. Showalter was never given a fair shake after the 1994 year. He had guided the Yankees to the best record in the AL during the 1994 Strike Shortened Season. 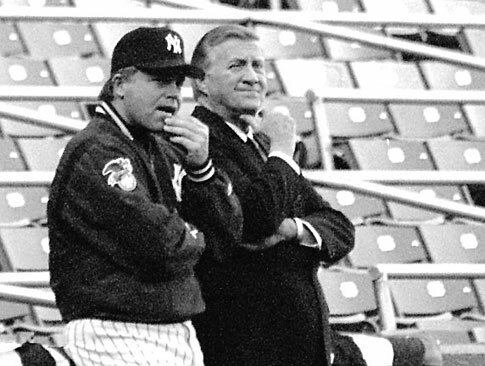 After the 1995 ALDS loss to the Mariners, he was let go in favor of Joe Torre. Buck Showalter has a knack of coming in when a franchise is down and rebuilding the team within 2-3 years after. He started with the struggling Yankees back in the early 90’s and almost brought them to the promise land a couple of times. The Players Strike cost him a chance in the 1994 season and he was on the back-end of a hot 1995 Seattle Mariners club, (who were left for dead and caught lightning in a bottle with the emergence of Randy Johnson.) Showalter was blamed for not being able to reach the stars on the club even though he was a master tactician with young players. Don Mattingly quickly retired and a new wave of young players were meshing with the old stars . The Yankees went onto hire Joe Torre, while Buck was left to view the club win 4 World Series in 5 years and make 6 out of 7 World Series Appearances overall. 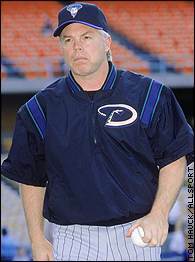 Showalter’s managerial record was 313-268 with the Yankees.